The country was repeatedly raided on its frontiers—Kerman by Baloch tribes in 1698, Khorasan by the Hotakis in 1717, Dagestan and northern Shirvan by the Lezgins in 1721, constantly in Mesopotamia by Sunni peninsula Arabs. Sultan Hosein tried to forcibly convert his Afghan subjects in Qandahar from Sunni to Twelverism. In response, a Ghilzai Afghan chieftain named Mir Wais Hotak revolted and killed Gurgin Khan, the Safavid governor of the region, along with his army. In 1722, an Afghan army led by Mir Wais' son Mahmud advanced on the heart of the empire and defeated the government forces at the Battle of Gulnabad. He then besieged the capital of Isfahan, until Shah Sultan Husayn abdicated and acknowledged him as the new king of Iran. At the same time, the Russians led by Peter the Great attacked and conquered swaths of Safavid Iran's North Caucasian, Transcaucasian, and northern mainland territories through the Russo-Iranian War (1722-1723). The Safavids' archrivals, the neighbouring Ottomans, invaded western and northwestern Safavid Iran and took swaths of territory there, including the city of Baghdad. Together with the Russians, they agreed to divide and keep the conquered Iranian territories for themselves as confirmed in the Treaty of Constantinople (1724). The two wrestlers were covered in grease. They are present on the level ground, and a small drum is always playing during the contest for excitement. They swear to a good fight and shake hands. That done, they slap their thighs, buttocks and hips to the rhythm of the drum. That is for the women and to get themselves in good form. After that they join together in uttering a great cry and trying to overthrow each other. Tobacco grew all over the country and was as strong as that grown in Brazil. Saffron was the best in the world... Melons were regarded as excellent fruit, and there were more than 50 different sorts, the finest of which came from Khorasan. And in spite of being transported for more than thirty days, they were fresh when they reached Isfahan... After melons the finest fruits were grapes and dates, and the best dates were grown in Jahrom. ^ Matthee* Matthee, Rudi (1 September 2009). "Was Safavid Iran an Empire?". Journal of the Economic and Social History of the Orient. 53 (1): 241. doi:10.1163/002249910X12573963244449. The term 'Iran', which after an absence of some six centuries had re-entered usage with the Ilkhanid branch of the Mongols, conveyed a shared self-awareness among the political and cultural elite of a geographical entity with distinct territorial and political implications. A core element of the Safavid (Safavieh) achievement was the notion that the dynasty had united the eastern and western halves of Iran, Khurasan and Herat, the lands of the Timurids, in the East, and the territory of the Aq-Quyunlu in the West. The term mulk-i vasi' al-faza-yi Iran, 'the expansive realm of Iran', found in the seventeenth-century chronicle, Khuld-i barin, and again, in near identical terms, in the travelogue of Muhammad Rabi Shah Sulayman's envoy to Siam in the 1680s, similarly conveys the authors pride and self-consciousness with regard to the territory they inhabited or hailed from. Ardabil Bazaar is a bazaar built during Safavid Dynasty in Ardabil, north-western Iran. In the 4th century historians described the bazaar as a building in the shape of the cross with a domed ceiling. It was constructed during the Safavid dynasty from the 16th to 18th century and renovated through the Zand dynasty in the 18th century.In and around the Ardabil Bazaar are many caravansaries and inns, owned by the estate of the Safavid Dynasty shrine, and mosques, some of which were endowed by Ata-Malik Juvayni (1226–1283) for the Shaykh Safi shrine. The proceeds from the many shops, bathhouses and inns in the bazaar that are owned by the estate of the shrine are used for the shrines upkeep. The Battle of Urmia (or, Urumiyeh) was fought near Lake Urmia in north-western Persia between the Safavid and Ottoman empires and resulted in a decisive Safavid victory. The Ottomans were fooled into an ambush where many of them were killed or captured in an encirclement manoeuvre. 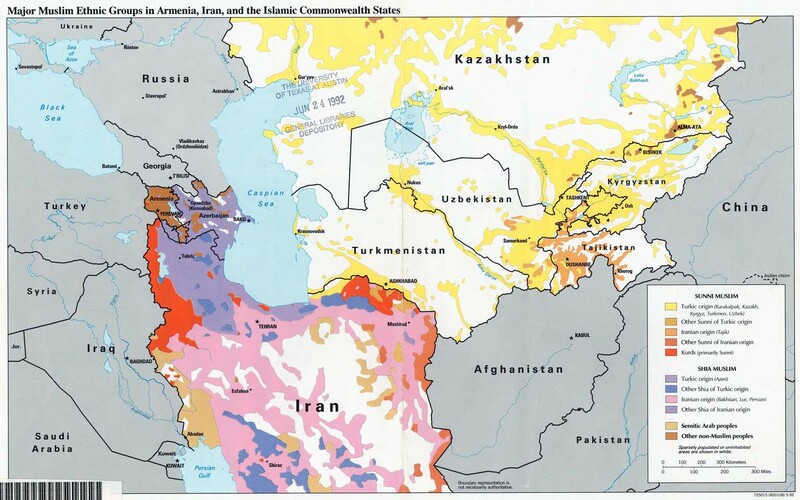 Over the next three years all of western and northern Persia was recaptured and the Safavids even re-established their suzerainty over their former vassals in the Caucasus. The Battle of Çıldır was fought in 1578 during the Ottoman–Safavid War (1578–1590) . Kara Su Bridge also known as Zaqan is a bridge in Ardabil, north-west Iran. It bridges the Baliqly Chay River. The bridge has seven arches and was originally built as far back as the Safavid dynasty. The bridge was last renovated in about 1920. This is a list of historical structures in Isfahan Province, Iran. The following is an historical overview of the list of wars and conflicts involving Iran (Persia). This list is far from complete. The Military of the Safavid dynasty covers the military history of the Safavid dynasty from 1501 to 1736. Sheikh Safi-ad-din Is'haq Ardabili (of Ardabil) (1252–1334) (Persian: شیخ صفی‌الدین اسحاق اردبیلی‎ Shaikh Ṣāfī ad-Dīn Isḥāq Ardabīlī), was the Kurdish and Sunni Muslim eponym of the Safavid dynasty, founder of the Safaviyya order, and the spiritual heir and son in law of the great Sufi Murshid (Grand Master) Sheikh Zahed Gilani, of Lahijan in Gilan province in northern Iran. Most of what we know about him comes from the Safvat as-safa, a hagiography written by one of his followers. Sheikh Junayd (died 1460) (Persian: شیخ جنید‎ Shaikh Junaid) was the son of Shaykh Ibrahim. After the death of his father, he assumed the leadership of the Safaviyya from 1447–1460. The Siege of Ganja during the last phase of the Perso-Ottoman war of 1730-1735 resulted in the surrender of the city by its Ottoman garrison after a brave defense was rendered futile by the destruction of the main Turkish army marching to its relief in the battle of Baghavard. The siege of Isfahan was a six-month-long siege of Isfahan, the capital of the Safavid dynasty of Iran, by the Hotaki-led Afghan army. It lasted from March to October 1722 and resulted in the city's fall and the beginning of the end of the Safavid dynasty. The Siege of Kandahar lasted from 1605 to 1606.